In the years since the United States first imposed sanctions against Russia in relation to Ukraine, US sanctions have intensified, expanded and became more nuanced. The number of sanctioned Russian persons has increased, as have the number of Russia-based activities and transactions declared “sanctionable” under US law. Moreover, the Sectoral Sanctions Identification List sanctions marked a move away from simply banning transactions with sanctioned persons to a more nuanced set of prohibitions applicable to US companies. The Russian response has been limited to date, focused mainly on import sanctions on agricultural products, travel bans on certain US members of government and freezing sanctions on Ukrainian individuals and businesses. Cooler heads have prevailed thus far and retaliatory measures that would be highly damaging to the Russian economy have been resisted. At the same time, there have been high-profile developments in sanctions enforcement, and white collar crime prosecutions of US nationals in Russia and Russian nationals in the United States. For Russian and foreign companies trying to do business together, the current sanctions and enforcement climate has not been easy to navigate. Patrick Brooks focuses his practice on cross-border transactions with a concentration on M&A, private equity and corporate finance in Russia. He has extensive experience providing strategic counsel to clients investing and operating in Russia across numerous sectors, particularly telecommunications, heavy industry, life sciences and financial services. Sergey Treschhev concentrates on corporate, international trade, commercial banking, financial leasing and other financial transactions, mining, insolvency (restructuring), arbitration and litigation matters. He has been involved in numerous court cases ranging from complex banking disputes following the 1998 Russian financial crisis to import-export, customs and mining litigation, and labour matters. He has attended hearings at state commercial courts, including the High Arbitrazh Court and courts of common jurisdiction, and has advised on and represented clients in international arbitration. 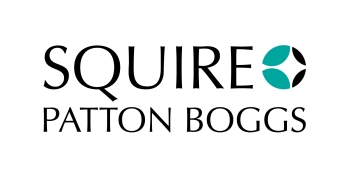 Prior to joining Squire Patton Boggs, he was the legal department head of a major Russian bank. Dan Waltz has 30 years’ experience advising clients both inside and outside the United States with respect to US export controls and economic sanctions. Mr Waltz regularly performs trade compliance reviews for clients and regularly provides counsel and guidance on trade enforcement matters. He has counselled non-US companies regarding Office of Foreign Assets Control (OFAC) sanctions matters for decades. He is also part of the team representing numerous European and Middle Eastern banks conducting internal reviews of past transactions and cooperating with OFAC, the Department of Justice and other relevant US enforcement authorities. He also advises clients on issues arising under the Foreign Corrupt Practices Act (FCPA), including conducting due diligence and identifying and mitigating risks. Kristina Arianina represents companies and executives in internal investigations, enforcement actions and commercial litigation. Her investigation practice includes bribery and securities fraud allegations and violations of US economic sanctions, the FCPA and the False Claims Act. She conducts internal investigations and due diligence in the United States and globally, assists clients with disclosures of potential violations to relevant authorities, represents clients in enforcement matters and helps companies to develop and implement compliance policies and strategies for their domestic and international operations.